No time to rush outside to refill your lens supply? Save time and effort by simply buying online. 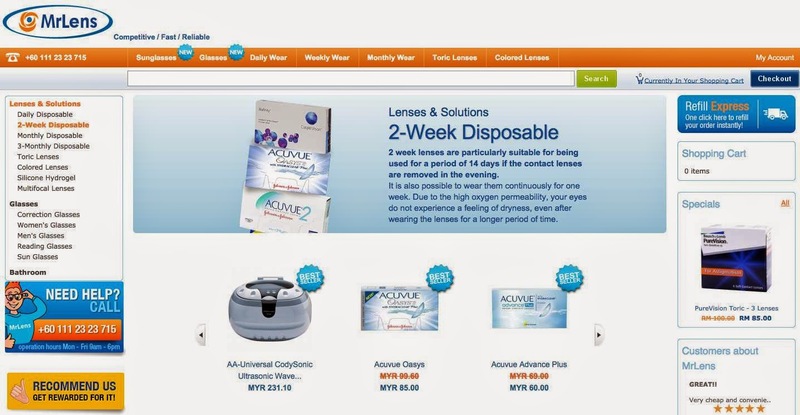 I’ve been a contact lens user for 3 years now and for the past few years, I’ve always been buying them at retail shops. It was very convenient for me before because the nature of my previous jobs involve regular visits to the mall and I can quickly grab the lens wherever I was. I stumbled upon Mr Lens in my affiliate program list and it looked interesting. Moreover, I barely have time to drop by the mall nowadays and I’m finding it a waste of time to purposely go there to replenish my lens supply. I’d rather spend that ‘shopping time’ for shoes, clothes, educational books and kids stuff. After all, if I already know the contact lens I need, the brand that I’m comfortable with and the power details, why can’t I replenish it in an easier, faster, more convenient way? I decided to try Mr Lens for the first time, around early November. 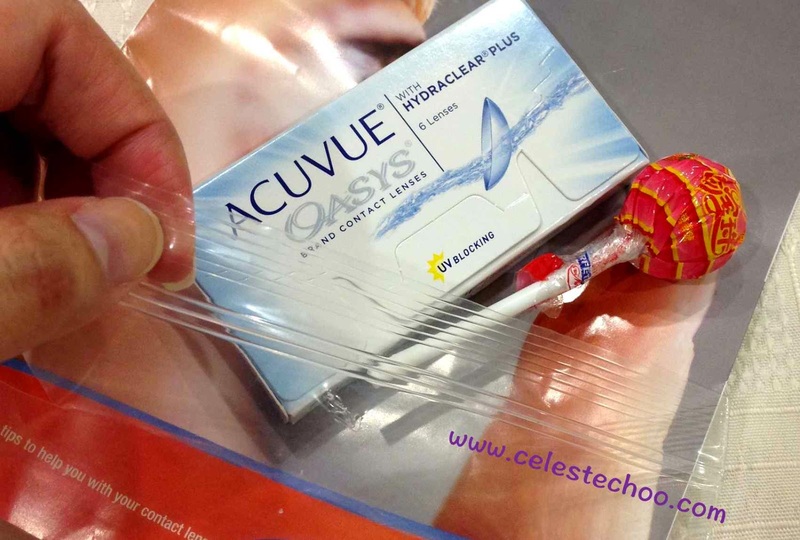 I ordered my usual brand, Acuvue Oasys with Hydraclear Plus, for bi-weekly use. This was the first brand and type recommended to me by the ophthalmologist and until today, even after trying other reputable brands, I find that this is the most comfortable one for my eyes. It doesn’t dry out my eyes and it doesn’t feel like I’m wearing contact lens at all. I really liked the first delivery from this online contact lens shopping site. See the cute lens case that came together with my order, which coincided with the Halloween season. Oh, and it also came with a Chupa Chups lollipop! The website is simple, functional, nothing too fancy if you expect it to be spectacular like beauty, fashion or makeup sites. Although I feel that it can still be improved, I somehow find it easy to use and just serves the purpose of letting you order the contact lens you need. It also accepts several payment options, including PayPal, which even makes it convenient to shop with. 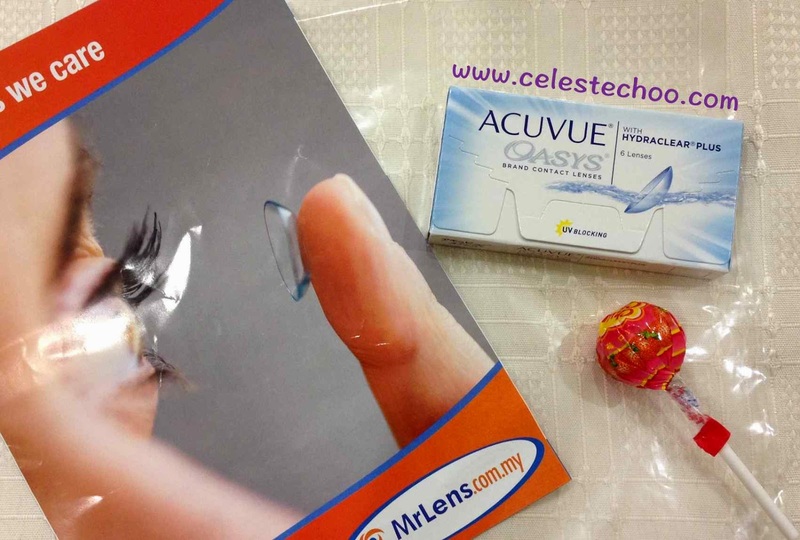 I ordered for the 2nd time to replenish my lens supply and my contact lens still arrived together with a sweet treat. 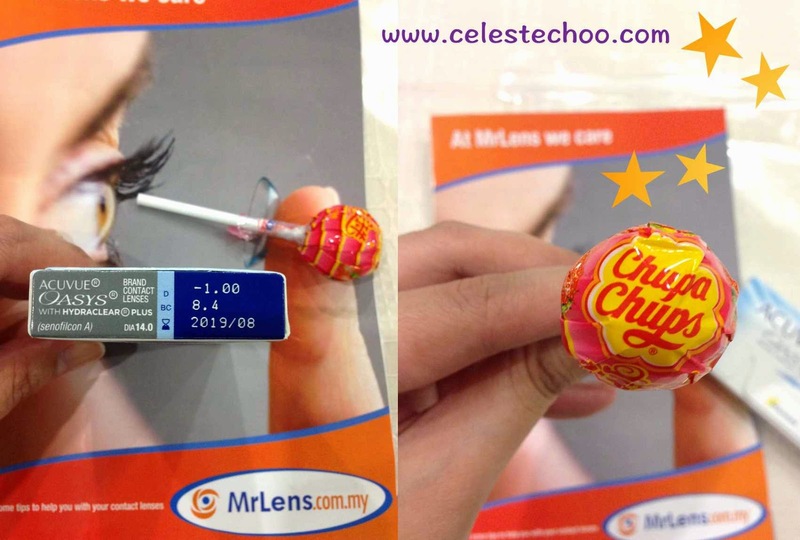 Hmmm, I’m not sure what’s the relevance of a lollipop with the contact lens but hey, we all enjoy free treats! This is really cool. Items are packed inside a resealable plastic bag. 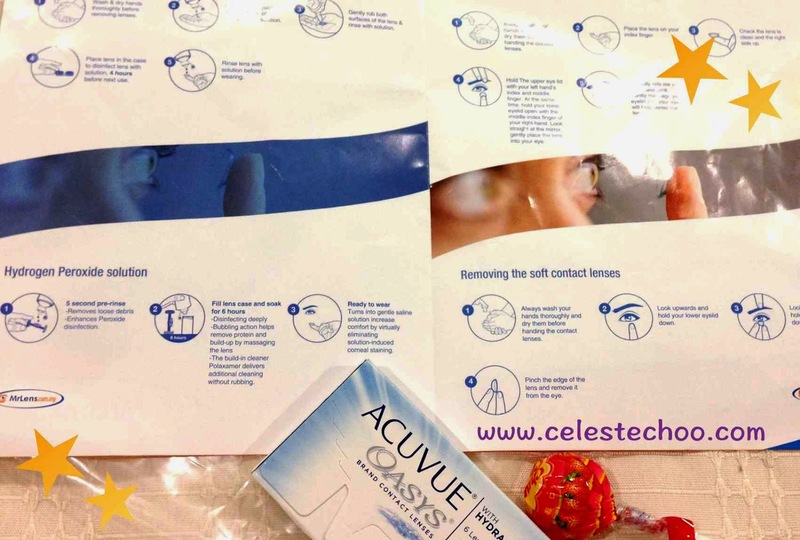 And another thing that I appreciate with this service is the included booklet of care tips for use of contact lens. I find it very helpful to have these reminders to make sure that I take care of my eyes and contact lens properly. The prices are good, too! I normally buy this set of contact lens at RM99 from retail shops but I can get it for only RM85 with FREE delivery. I think that online shopping is now my first option for purchasing my contact lenses. 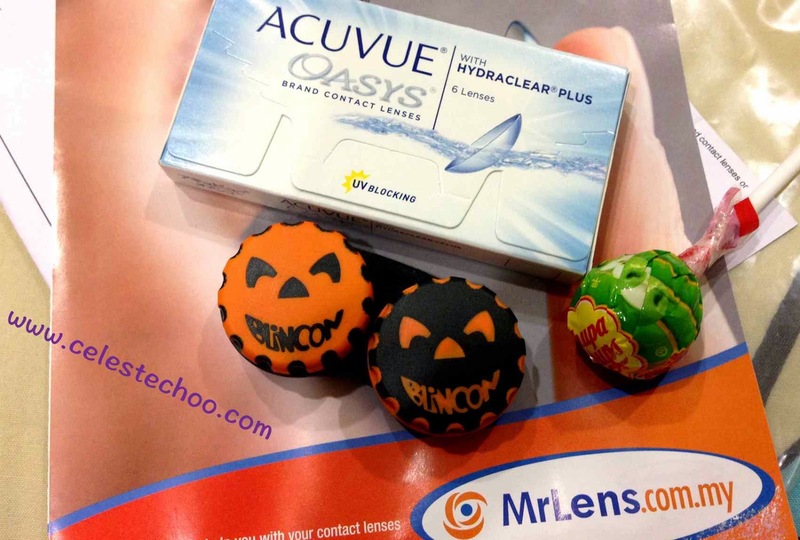 MrLens.com.my also has other eye products such as branded sunglasses, glasses, daily contact lens, weekly contact lens, monthly lens, coloured and toric lenses. With cheaper prices, free delivery, ease and convenience, this is definitely a must-visit shopping site. 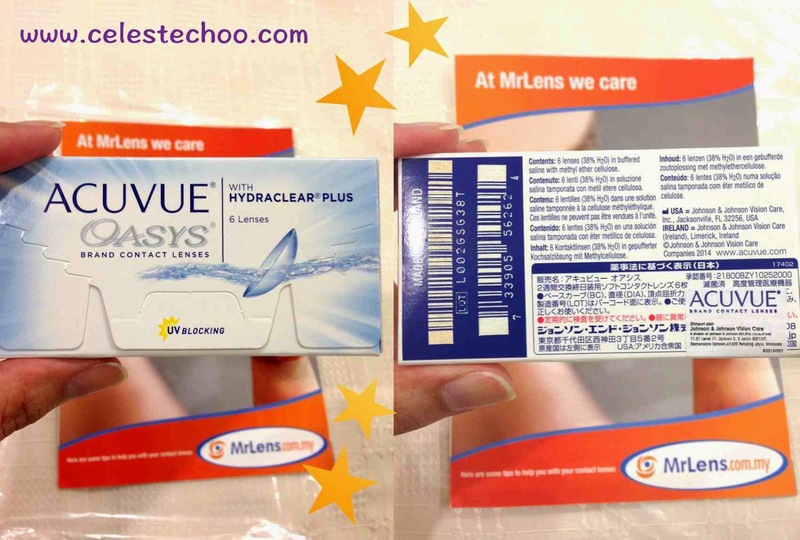 I sometimes use daily wear contact lenses by Acuvue as well so I will order it via MrLens soon. 2 week lenses are particularly suitable for being used for a period of 14 days if the contact lenses are removed in the evening. It is also possible to wear them continuously for one week. Due to the high oxygen permeability, your eyes do not experience a feeling of dryness, even after wearing the lenses for a longer period of time. Want to win a Skydiving session worth RM3,000?